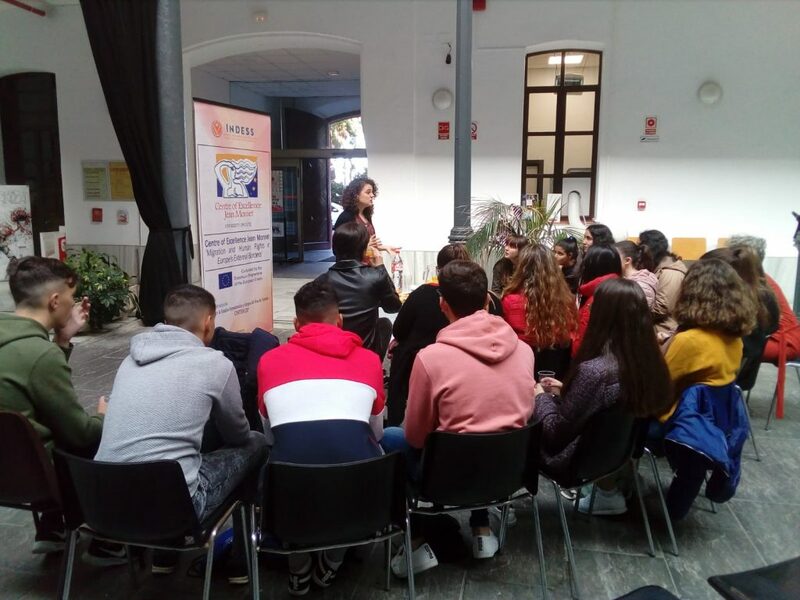 The researchers of the Jean Monnet Centre of Excellence: “Immigration and Human Rights in Europe’s External Borders”, Dr. Siham Zebda and Ms. Lorena Calvo, participated in the “Café con Ciencia” Dissemination Conference with students from high schools in the province of Cadiz, on the 5th and 6th of November. The Conferences have been developed in a table-discussion format that has tried to bring the European Union’s policies on Human Rights and Immigration closer to secondary and high school students. Dr. Siham Zebda spoke at the “Beato Diego José de Cádiz” University Hall of Residence on Human Rights and Immigration, Diversity and Interculturality, with the 3rd year ESO students from the “San José, Esclavas” Institute in Cádiz. 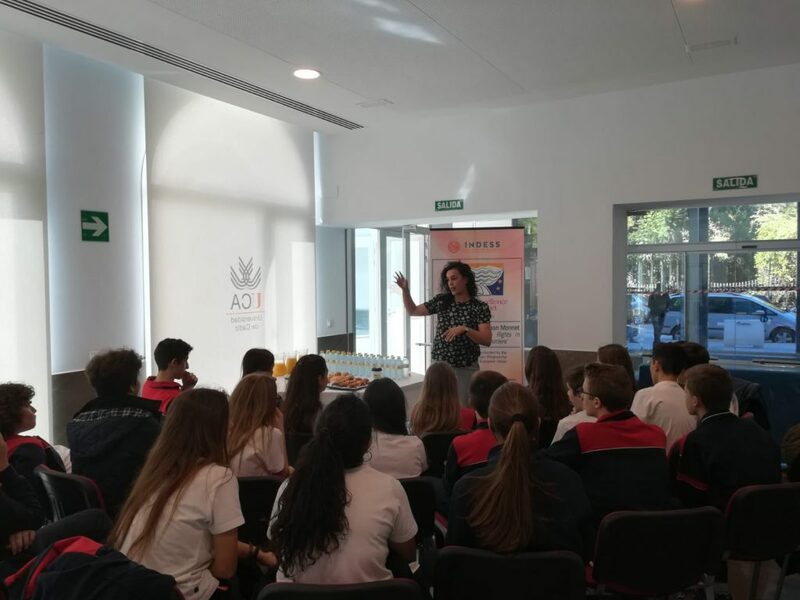 Lorena Calvo has presented her research about The European Union and Human Rights: the current refugee crisis in Europe, to the students of 1st year of High School at the Sidón Institute of Medina, in Medina Sidonia, Cádiz. After both talks, the exchange of opinions, visions and doubts between the students and the researchers took place in an atmosphere of interest and concern for the issues that have to do with Immigration and Human Rights in the southern border of Europe.